Challenge Coins Limited specializes in making custom coins for all kinds of organizations, whether it be for a group of firefighters or other organizations. High quality, customized designs, low prices, and speedy delivery times are only a few of the reasons why we remain a market leader in the industry today. A professional staff of graphic designers help ensure that your firefighter challenge coins represent your local fire department at the highest level. Whether you have all decided on something to represent you, or whether you are completely clueless about an emblem or insignia, we can help take the guesswork out of your personalized coins. Firefighting teams, military and police organizations all share a common goal: to protect a nation from harm. A challenge coin made to represent these duties can ring true for all of these organizations, so it’s also important to set yourself apart from the pack, whether at HQ or out in the field. Whether be it your insignia, your motto, or the design of your challenge coin, your fellow firefighter will be able to appreciate them alongside their brothers in arms. Tradition, pedigree, loyalty and service are what firefighter challenge coins are made to represent. Being a firefighter can often mean you are thrust into a brotherhood composed of others who are dedicated to risking their lives to save people. A coin representing what a firefighter is all about can help drive the point across to others in this brotherhood, giving fire departments a chance to carry tradition into the future. Firefighting is not only a longstanding service in the United States, but is also a brotherhood of people who both volunteer and are chosen to heed the call of duty. With responsibilities different from a soldier or medical professional, they must also go through rigorous training which only a select few pass every time. Separating the “men from the boys” does not mean machismo reigns supreme in the brotherhood of firefighters, but a friendly camaraderie typical of a close-knit brotherhood. In this regard, challenge coins are just one element of a very cohesive band of professionals. A firefighter is dedicated to protecting his fellow man in times of need. Not only do they extinguish fires, but they strive to prevent the unneeded loss of life and property to other disasters. Firefighters also serve as rescue teams in other times of disasters, such as during earthquakes, tornadoes, floods and snow storms. Each member may be trained for a wider variety of responsibilities as their career progresses. Each and every one of these responsibilities represents their commitment to service and rescue of their fellow man, and the rest of the community. With this dedication to service, a firefighter promotes a few values which will help other members of the community prevent or stop catastrophes from happening. Firefighters also face great occupational hazards in their line of work. Some of these hazards include the danger of structural collapse, excessive heat stress, as well as cardiovascular and respiratory diseases. Putting their one life on the line when on-duty just goes to show their dedication to the cause of helping his fellow man. To see what some of our nation’s bravest are up, to both in and out of the Station House, check out the IAFF. Challenge coins are priceless – perhaps not monetarily, but emotionally. It is the symbolism behind them that matters more than the material it is minted with; they symbolize pride and, more importantly, a sense of brotherhood that is recognized in fire departments the world over. This sense of solidarity is very important in high-risk, critical service occupations such as firefighting and on-call medics. Having challenge coins designed especially for them serves to cement solidarity, membership and pride. This is where firefighter challenge coins hold monumental value. When you are given such a coin you are recognized as a part of the team; you are accepted; you belong, and this is perhaps the most important trait to emphasize in an occupation where everyone needs to work together and watch each others back. It’s almost unbelievable that something as insignificant as a coin can make people share a common bond, but it’s true. Look back at the societies and uniformed units that you joined back in school, where you made most of your friends and shared likes and dislikes, agreements and dissensions, happy memories and sad. What tied all of you together? The answer lies in two different, yet similar bonds. The first is emotional attachment. You feel close to those who share the same opinions, likes and dislikes as you, and similar-minded people tend to attract each other and become more alike in a situation called social tuning; and besides, as the old saying goes: ‘birds of a feather flock together’. When you interact more with your peers you’re actually deepening your relationship with them. Everyone does this, even firefighters, policemen and even the President of a country. As they say, no man is an island. The next bond is of a physical nature. When you’re clad in your firefighter uniform – or any other uniform, for that matter – you no longer just feel as though you and your peers are alike, you look alike too. Firefighter challenge coins serve the same purpose, except that it is a lot more convenient and still bonds firefighters even in the absence of uniforms. To do this firefighter challenge coins must be unique, set apart from other distinguished challenge coins. A different color, perhaps, or a different design – it has to be easily recognized no matter what. Custom coins are extremely durable. Their durability also means that they will last a long time, so even those who have retired from service can still look at their firefighter challenge coins and reminisce fondly about the time spent fighting fire and death to save lives and belongings. Secondly, they can just as easily be carried around as they can be displayed in a firefighter’s home. Firefighter challenge coins are relatively small and are reassuringly solid. What greater memorabilia can a firefighter have than a firefighter challenge coin that has followed them throughout their tenure as testament to their contributions to society? If a fire department follows the original tradition of keeping coins with them at all times, then they will increase in value because the coins themselves will bear witness to the struggles, the bittersweet moments, and the relief that follows every firefighting attempt; they will embody all that the firefighter is. So does their gear, you might argue – but then again, metals and alloys outlive fabrics by a long, long shot. They can even be passed down the family as a symbol of pride, while uniforms and the ilk will likely be stashed in a box in the attic. In moments of despair and hopelessness, a firefighter challenge coin stands as a reminder of what and who a firefighter should be. It becomes a symbol of hope, reminding the firefighter that there are others like him or her who will weather rough times together; a firefighter is never alone as long as he or she is with a unit, and a common firefighting challenge coin links them all. Firefighter challenge coins doesn’t have to be an expensive affair that will strain the department’s budget. There are cheaper metals and alloys to use that won’t cost much – a factor that becomes rather important when a unit or a department is large. 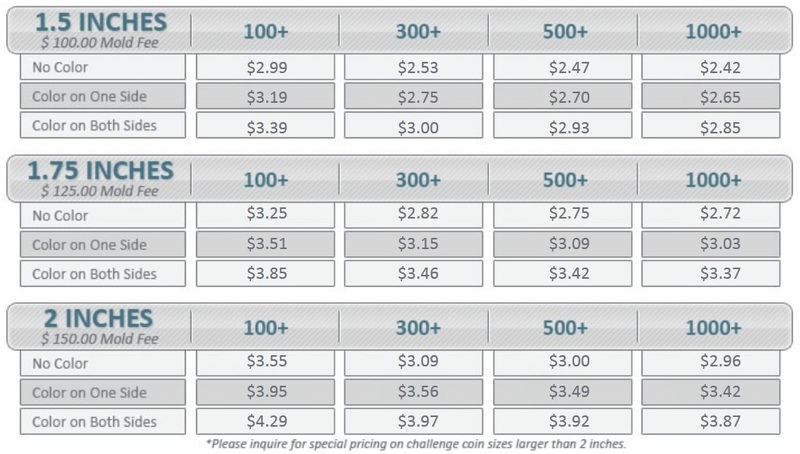 It might be worth it, though, if a department were to invest in sturdier, heavier metals so that the coins will have a more quality feel. They will, after all, go through quite a few high-risk situations with the firefighters who carry them. We at Challenge Coins Limited offer you high quality, custom-made firefighter challenge coins. Are you at a loss about where to start? 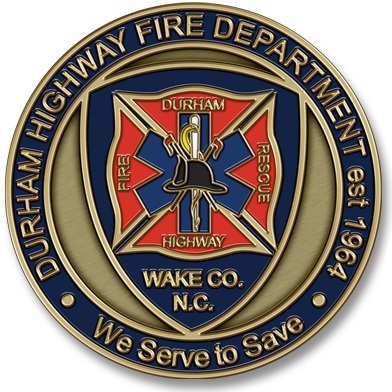 Our experienced team of customer service representatives and graphic designers are more than willing to guide you every step of the way so that you will have the perfect firefighting challenge coin at an unbeatable price.